Living your passion is hard work—but you can’t beat the rewards. 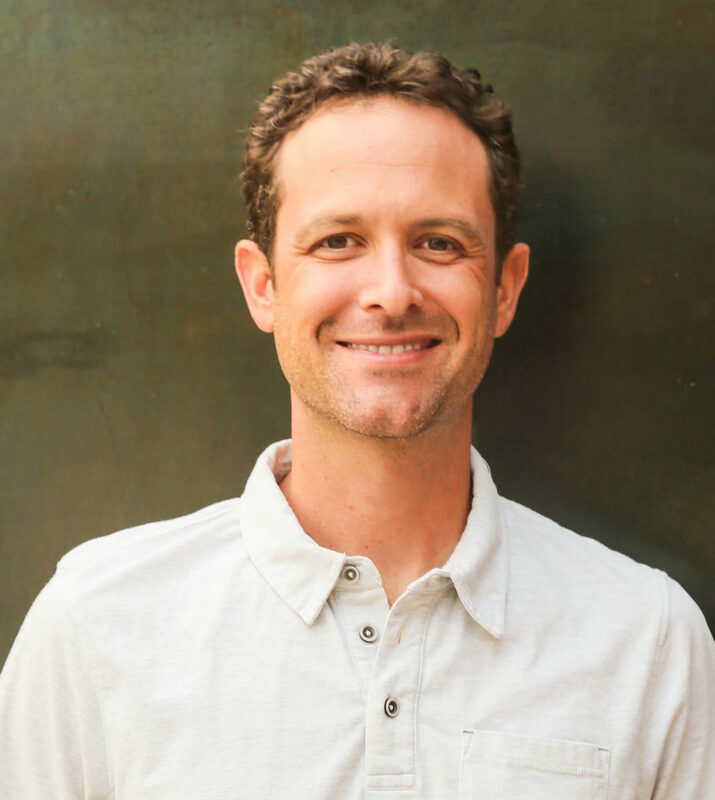 EarthHero founder and CEO Ryan Lewis believed the pain of not trying to start something that matters would have been greater than any pain endured in launching his dream company. Want to build something that matters? We help amazing people harness their passions and successfully launch purposeful businesses. Check out our Business Launch Small Group Coaching class where you can learn how to replace your income in 6 months or less. Ryan Lewis had clear goals in mind when he decided to launch an eco-friendly online marketplace: Create a healthier planet by making it easier for people shop and live more sustainably. By all accounts, Lewis is doing just that. Launched in 2016, EarthHero offers thousands of sustainable products from thoroughly vetted vendor partners that meet the company’s strict standards. So how did a guy who grew up in South Jersey in the 80s—the era of fur coats and BMWs—end up running a marketplace for sustainable goods? For Lewis, the seeds were sewn in 1991, when his parents announced, “We’re moving to Boulder, because we want to try a different lifestyle.” It was shortly thereafter that he discovered his love of nature and developed a passion for saving the earth. Only two years shy of going to college, Lewis was initially shocked by his parent’s decision. However, he soon became excited about moving to Colorado and embraced the change. As Lewis explains, “Moving to Boulder left an impression on me that starting over and completely shifting directions is something that’s possible, because I saw how happy my parents were. They were into Buddhist practices and nature, so they found a home in Boulder, and so did I. “Eventually I realized that nature, being outdoors, the mountains and all of the pristine elements that Colorado offered were super important to me, because as soon as we hit Boulder, I immediately fell in love with it"
After college, Lewis pounded his head against the wall trying to break through the music industry in California, but the late hours, egos and drug scene didn’t appeal to him. As he explains, “I was getting married and looking to raise a family, and I knew this wasn’t the type of environment I wanted to be around day in and day out. Lewis and his wife eventually moved back to Colorado, where his father persuaded him to join the family business – a catalog business in dire need of a website – something he resisted at first. “My dad and I always had a good relationship, and he said, ‘Just come and sit in on a few meetings and see what it might look like.’ After I did that, I realized I could find a creative outlet by creating a website and driving the ecommerce business, so I decided to join the company. I was there for 11 years, during which time we went from a $5 million to a $60 million company,” says Lewis. Lewis ultimately decided it would be best for him to part ways with the company. “I went to the PE firm and said, ‘Hey guys, I know I’m taking a big risk, but I want to move on. I want to work with you, and I’m hoping you can make me whole in the process.’ They were great, and we worked out a five month transition,” Lewis says. At that point, Lewis decided to take a sabbatical so he could figure out how to start something that matters, even though he didn’t know what that something would be at the time. So he started researching what was happening to the earth and the impact pollution and everyday consumption had on the environment. Lewis knew that pollution and climate change were very big problems and realized he wanted to be part of the solution. That’s when his epiphany morphed into the business concept for EarthHero. As he explains, “I'm an e-commerce guy. I'm a distribution guy. I understand how to build websites and market them, and I understand inventory management. I thought, ‘What if I basically took what I did in my last life – selling restaurant supplies to restaurants – and sold eco-friendly products to consumers?’"
“I almost felt like I had a responsibility to create EarthHero, because what other people in the world have the combination of the capital, the experience, the passion and the time to put this together? So, it ultimately came down to, I couldn't not do it. I just couldn't get it out of my mind,” explains Lewis. Mary Maloney is a freelance writer and solopreneur who has written content for a variety of industries – from wellness to finance to law. After 25 years in the corporate world, Mary decided to follow her heart and launch a marketing business. Mary began working with Terri Maxwell in 2014 and has been blessed to be a recipient of Terri’s wisdom about life, career and business success. When she isn’t writing, Mary enjoys cooking with her husband and snuggling with her Pembroke Welsh Corgi Seamus.